People heavily rely on online reviews when they're choosing whether or not to do business with you. Eighty-four percent of individuals trust these reviews as much as they do word-of-mouth recommendations, according to Bright Local. Google supports consumer-written reviews for businesses and adding them to the company's Google Business listing. When potential customers search your business name on the search engine, they can quickly access your reviews. You also have the option of adding Google Reviews to your website. Check out how to embed Google Reviews onto your website, and why you really need them! If you only copy and paste reviews to your site, you remove the legitimacy from the post, and you may run afoul of content usage rights. However, there is a way to embed these reviews directly from your business page. Sign in to the Google account controlling your business listing. Load your Google+ business page. Click the share icon located in the lower right-hand corner of the review. Click the options arrow in the top right corner of the shared post. Choose "Embed Post" from this menu. Open the review page of your website in your preferred editor. Paste the header code between the <head></head> HTML tags on this page. Paste this code wherever you want to display the review. WARNING: Google has made the above steps to adding Google reviews to your website obsolete. Luckily, our team has done the research, and developed an exceptional tool to make adding Google reviews to your website simple! Follow this link to the Google Reviews Tool. Select the correct Google Review business from the list. Copy the provided code snippet. Paste it into your website's code wherever you'd like the reviews to show up on your website. Sit back and enjoy the social proof that your business rocks! If you aren't sure how to insert code into your website, you might want to reach out to your web designer or one of our experts here. Once you complete one of these processes, you'll have the new review embedded on your website for potential customers to see. Consumers seek out social proof that they're making the right purchase decision. They may have a few sales objections during this stage, and they don't want to feel like they're missing out on a better opportunity. Referral Candy reports that 85 percent of consumers look through approximately 10 reviews while they're making up their mind. When the social proof is right in front of them on your website, you prevent the consumers from going elsewhere and getting distracted. If they decide they want to purchase from your business, they're already at your website. You decrease the opportunities for them to shelve their decision and forget to revisit. Oftentimes Google is the very first connection between a potential buyer and a brand. From local restaurants to easy-to-maintain office plants, we search everything on Google. Clearly, Google has recognized the need for reviews and offers its own platform. Why wouldn’t we implement customers’ Google Reviews into our websites if that’s what the search engine favors? It’s what buyers prefer, too; users are 38 percent more apt to visit and 29 percent more apt to consider purchasing from a business that has a complete Google My Business page. The SEO benefits of Google Reviews are discussed more in a minute. Eighty-four percent of buyers trust online testimonials just as much as personal recommendations. 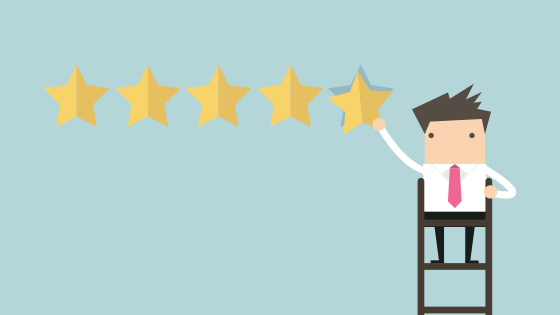 Plenty of websites have testimonials, so what makes Google Reviews different? Consumers can't verify the legitimacy of a review if you're the one controlling the content. Google Reviews come directly from the people who wrote them, so potential customers know that you aren't making up the information. P.S. Did you know 20 percent of reviews for certain products on Yelp are fake? Yikes! In addition to the people who trust online reviews as much as personal recommendations, 68 percent of the millennial population trusts online reviews more than television advertisements. Now, if that doesn’t sound like a bang-for-your-buck, I don’t know what will. Putting Google Reviews on your website is FREE. Even the inbound marketing strategies that it takes to get those reviews are more effective and cost-efficient than TV ads. You may be wondering whether Google Reviews are more effective to exhibit than Yelp or TripAdvisor - the answer is yes. Google Adwords has a special extension called Google Seller Ratings (GSRs) that displays other buyers’ trust in your business. Your score out of five stars will appear under the headline and URL of your pay-per-click ad. Trust Pilot explains that 64.6 percent of searchers click on GSR ads when they are looking to purchase online. Moreover, GSR ads can boost your brand’s click-through rate by 17 percent, ultimately improving your quality score and reducing your cost-per-click. Online reviews are as critical to your SEO ranking efforts as internal linking and on-site optimization. This is because they have the ability to affect your local rankings, what search results actually get clicked on and, of course, consumers’ purchasing decisions. Implementing Google Reviews into your website provides visitors with the quickest way to gain accurate information to help them form an opinion about their potential purchase. Local search engines pick up on websites that are turned to consistently for their high-velocity, accurate reviews. MOZ’s recent Local Search Ranking Factors results show us that review signals, (review quantity, review velocity, review diversity, etc.) make up 13 percent of local pack/finder ranking factors. Google’s “local pack” is the small pack of listings that pops up right above the organic results. 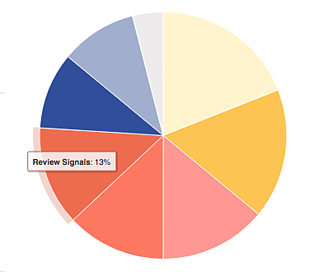 So, 13 percent of the reason those businesses show up first is because of their review signals. Google’s “local finder” is the list of results that show up when the searcher clicks “more places” under the local pack. Additionally, review signals have made up seven percent of the localized organic ranking factors in 2017. The depth and velocity of reviews on your website act as valuable content, even “binge-able.” If searchers who end up on your site are looking for accurate information about your product or service, they may get sucked into reading the reviews, spending five to 10 minutes on your page. Google Reviews are content, and that content can be re-purposed especially if you have it embedded. If you use emails, newsletters, digital ads, or any other sort of online marketing, you can direct visitors right to the reviews on your own website. “Our reviews don’t lie,” or, “See what other customers have said” are great headlines to prompt the user to be directed to your website. Cornell University conducted a study that found a hotel can raise its rates by 11 percent for every one-star increase in reviews without losing customers. The benefits of good reviews don’t stop at the opportunity to raise prices, but it certainly does help. Not to mention embedding Google Reviews on your website is free. You need a fair number of reviews to build up trust with buyers. If you only have one or two entries, customers don't have enough to form an opinion. When you list the Google Reviews on your website, make sure to let everyone know that they can post their own reviews. In addition to getting valuable reviews, asking customers about their experience is standard customer service. Getting at least 10 reviews is a balanced number for encouraging trust. Website visitors who are able to read and interact with on-site reviews are 58 percent more likely to convert than those who don’t. Online shoppers who can read customer reviews reflect a 62 percent increase in revenue per visit. When shoppers can read and interact with reviews, the average order value increases to three percent. You have your Google Reviews on your website - now what? Your reviews can be used in many ways besides residing on your site. Reusing your reviews for case studies is another effective way of social proofing. If a potential customer can see what your client actually thought of your product or service it can be the push they need. Also, the visitor can observe the work you did. Like we mentioned before, using your reviews in an ad with a snappy headline like, “See what others have said” is a great way to repurpose reviews. The searcher clicks on your ad and is taken directly to your website where the embedded Google Reviews are. It’s a one-stop-shop! We suggested using a headline in your email body to hook a lead; but, have you thought of placing a snippet of your latest review underneath your email signature? This can be a subtle way of reminding a potential client of the satisfaction you’ve provided current customers. Online reviews often make the difference between converting new clients and watching them go to the competition. Use your existing Google Reviews to boost your numbers and give buyers the information they need to make a good decision. Get your Google Review embed code now!